Tonight we had a small earthquake offshore of northern California, northwest of Trinidad. Here is the USGS website for this earthquake with a magnitude of 3.2. At first glance, this earthquake appears to be close to the location of the 1980 Trinidad earthquake. Due to the internal deformation in the Gorda plate, there are ubiquitous northeast striking left-lateral strike slip faults throughout. 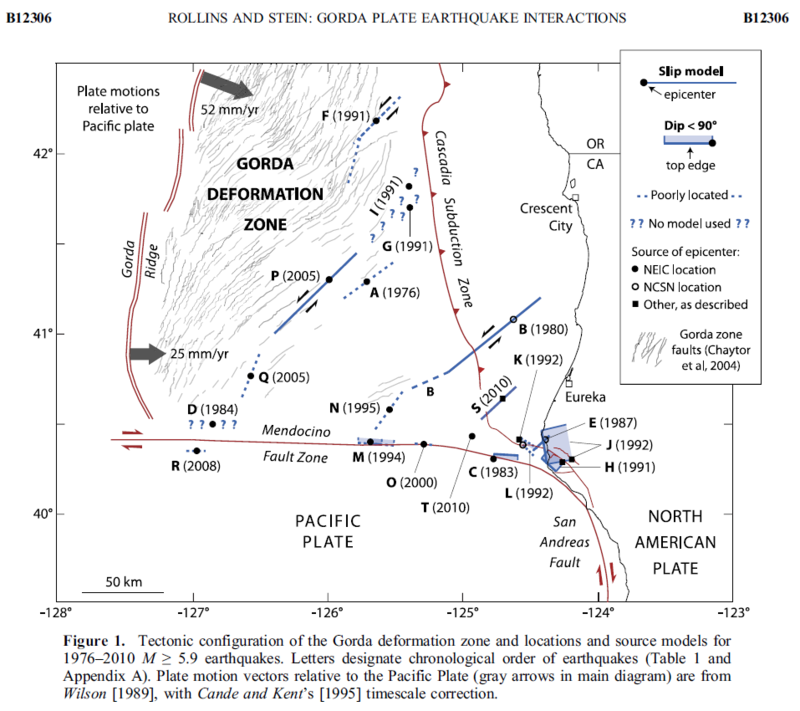 There have been many left lateral strike slip earthquakes within the Gorda plate (I list some of them below). Below is the map that I put together for this earthquake. I have placed the focal mechanism for the M = 3.2 earthquake and the moment tensor for a 2015.11.02 M 4.3 earthquake along the Mendocino fault system (a right lateral strike slip earthquake). Here is my earthquake report for the M = 4.3 earthquake. I interpret today’s 3.2 earthquake as a northeast striking left lateral strike slip earthquake. If the hypocentral depth were shallower, it could be interpreted as a northeast striking right lateral strike slip earthquake as the Dextral shear from the North-America/Pacific plate boundary motion does feed into this region. However, that motion would likely only be realized along faults in the upper plate. 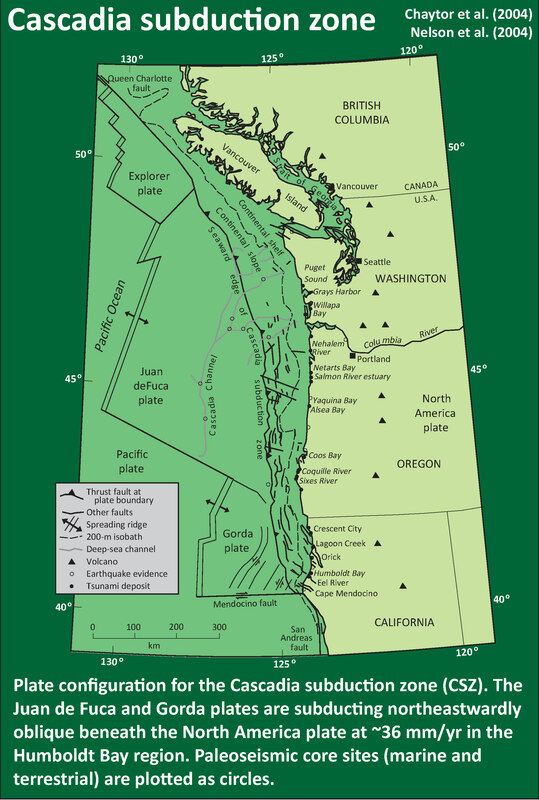 I include a map of the Cascadia subduction zone. Here is that map as a single file (modified from Chaytor et al., 2004; Nelson et al., 2004). 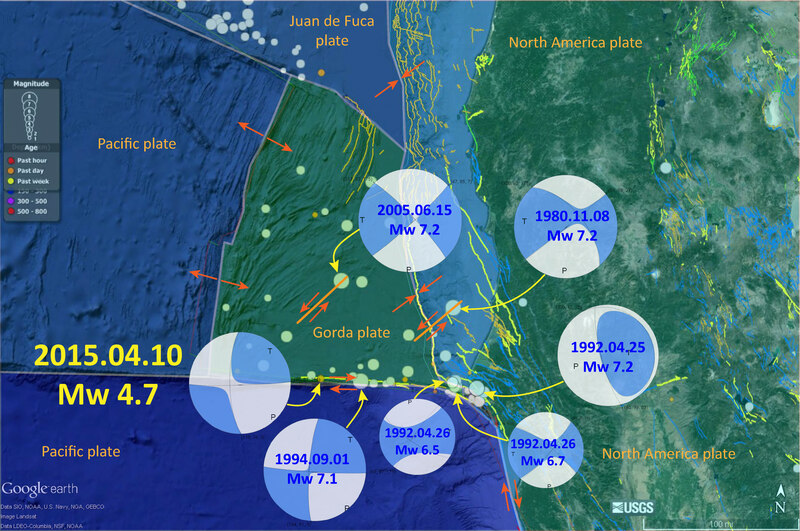 I present more information about the Cascadia subduction zone on this page, which I put together for the 315th anniversary of the last megathrust earthquake. Even more about Cascadia is posted here. 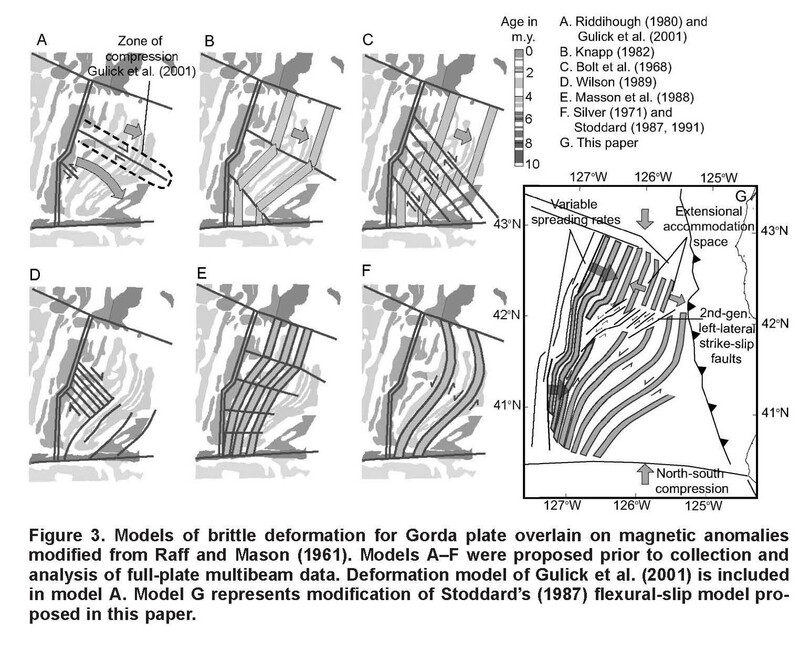 Here is a map from Rollins and Stein (2010) showing the faults and tectonics of the Gorda plate. The 2014.03.29 M 6.8 earthquake is probably somewhere in the right step of the dashed fault labeled “B.” Here is the earthquake report for the M 6.8 Gorda plate earthquake. Here is a map that I put together that shows some of the historic earthquakes in the Mendocino triple junction region. 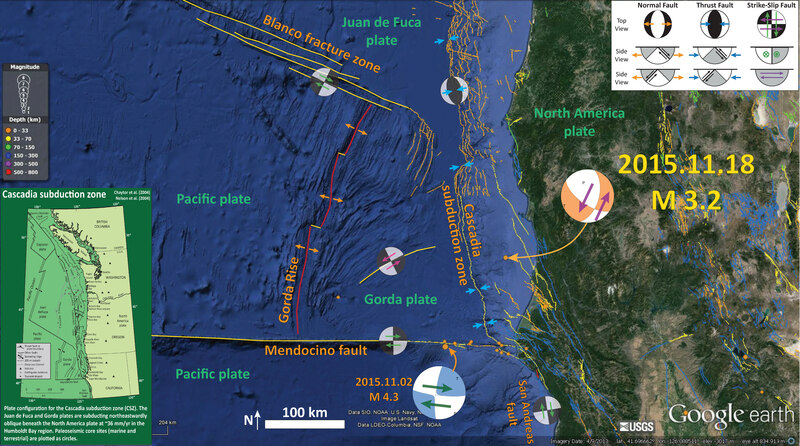 Note the Gorda plate earthquakes, the Mendocino fault earthquakes, and the 1992 Petrolia earthquake, thought to be a small Cascadia subduction zone earthquake. Here are some earthquake reports sorted by region and source of seismicity.